The Jamo series of high-quality speaker selectors provides a simple way to manage music throughout multiple rooms or listening areas. 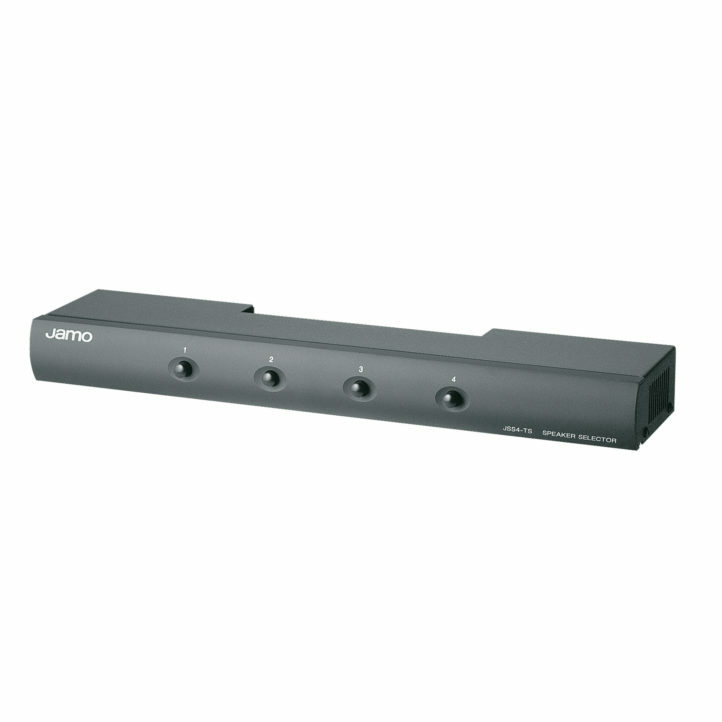 The JSS4-TS allows music from one source to be distributed to four pairs of speakers. One or more pairs of speakers can be turned on and off conveniently. It's housed in a heavy-duty metal casing, and handles power up to 155 Watts peak per channel.